For SW Florida Buyers & Sellers, Home Inspections Mean Jitters, Naples, Ft. Myers, Estero! It’s probably just an inevitable part of the human condition. For SW Florida Buyers & Sellers, Home Inspections Mean Jitters, Naples, Ft. Myers, Estero! For almost everyone, awaiting any SW Florida home inspection is pure, unadulterated jitters time. Nail-biting time. Edge-of-your-seat time. In other words, the inspector is asked to perform a professional service, the purpose of which is to uncover any previously unknown defects. Potentially derailing the otherwise blissful scenario of uniting of buyer with house. Given the tension and anxiety involved with the profession, it’s just short of miraculous that our home inspectors aren’t all fighting peptic ulcers. The reason is probably because, when all is said and done, performing a thorough home inspection is a high-skill accomplishment—one of great value to both buyer and seller. For the seller, the home inspection ritual is an exercise that bolsters the buyer’s confidence in the wisdom of such a momentous transaction. Without it, who knows how many homes would not change hands as readily? For the buyer, even when no defects are discovered (as is often the case), the home inspection report serves as an invaluable handbook, filled with useful details about the nature and status of the residence’s structure and systems. Some agents believe they should spare jittery home buying clients a nerve-wracking experience by counseling them to stay away during the actual home inspection. However, accompanying the inspector is a valuable way to get in-depth knowledge about the workings of their new residence. Plus—there’s no better way to get over those jitters than to acquaint yourself with the real value you are about to acquire. 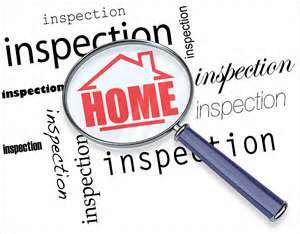 For SW Florida Buyers & Sellers, Home Inspections Mean Jitters, Naples, Ft. Myers, Estero! 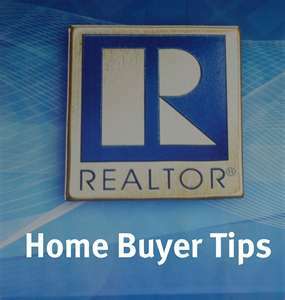 Having an experienced SW Florida agent on your team is an excellent way to prevent any jitters from developing in your home buying process—another good reason to call me! For Keen SW Florida Bargain Seekers, “Bank-Owned” Rates Study, Naples, Isles Of Capri! 10 Least-Favored Listings Features Draw SW Florida Readers, Naples, Bonita Springs, Cape Coral!